Hello there! 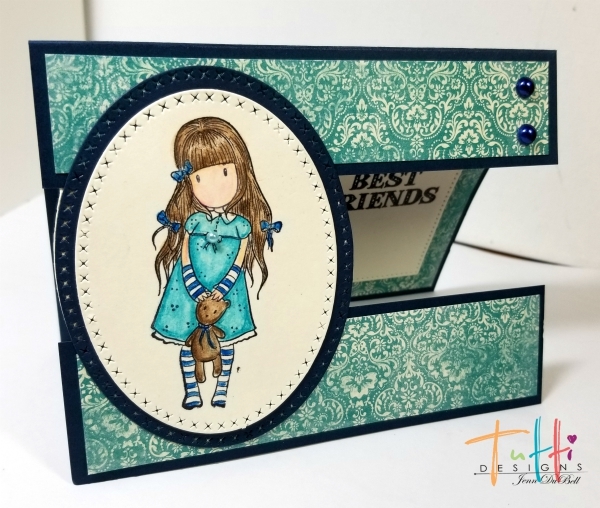 Jenn here today sharing a fun friendship card using the amazing Tutti Designs Dies! The card style was inspired by a Pinterest tutorial. 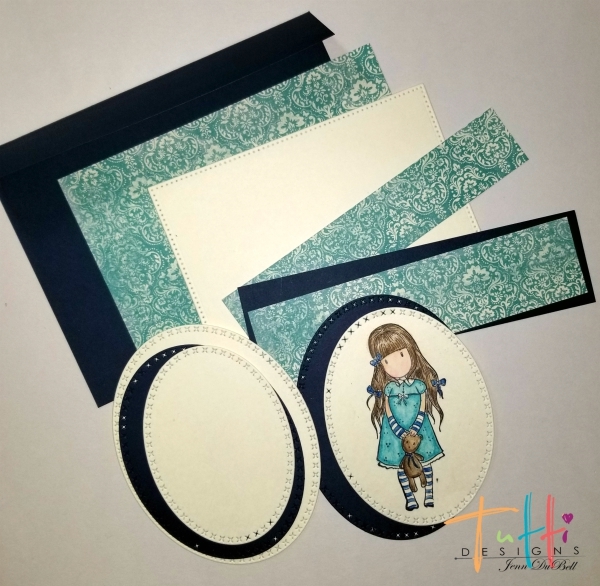 Stamp the girl using black archival ink onto the Ivory oval die-cut and then color using watercolor pencils. Set this aside to dry completely. 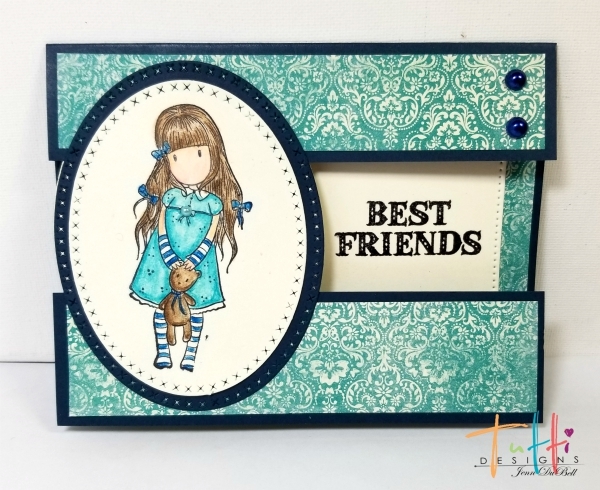 Line up all of the pieces to ensure proper placement of the "Best Friends" sentiment stamp. Stamp onto the Ivory rectangle die -cut, then coat with clear embossing powder and set with a heat tool. Let dry. Stamp the bears using brown ink and color them using brown watercolor pencil. Let dry. Score the 5 1/2" square navy card stock piece at 4 1/4" and fold down. This is the card base with the top flap folded down. Next use adhesive runner or glue to attach the 5 1/4" X 1" designer paper strip to the flap. Adhere the 5 1/4" X 1 1/4" strip of designer paper to the 5 1/2" X 1 1/2" strip of navy card stock. 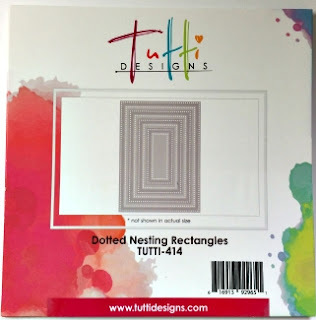 Adhere the 5 1/4" X 4" on the inside and layer the Ivory die cut rectangle on top of that. Adhere the watercolored ivory oval on top of the navy die cut oval. Adhere the bottom to the cut strip for the bottom front of the card. Adhere the top of the ovals to the top flap. Adhere the Ivory oval die cut to the inside under the flaps for added stability. Add some pearl stick ons for a nice pop of color! Here is another angle showing the card. What a sweet creation and FABULOUS fold idea Jenn! Very creative and unique! LOVE IT!! Such a lovely friend card, Jenn! This is SO sweet! I love the fancy fold too!